Support the Mission of animaldisasters.com by engaging with owners, animal health care providers and emergency managers to integrate the care of animals before, during and after disaster strikes and improve the quality of life for people through better care for animals at all times. Experts working with animaldisasters.com have extensive knowledge and experience of helping communities and businesses develop effective emergency plans. With your participation we can help communities develop well thought out plans incorporate the needs of animals and their owners into the Emergency Operations Plan of the community. Become part of an engaged network of planners for the care of animals who can work side by side on problem solving long before disaster strikes and in ways that are beneficial to the response to a disaster. Animaldisasters.com helps community’s become better prepared through education and training. Examples include developing support for recruiting, organizing, developing, and equipping emergency response teams that care for animals in disasters; providing training and education for animal response teams, owners, animal care providers and emergency managers on effective animal disaster mitigation, preparedness, response, and recovery; community outreach leading to increased awareness of animal care professionals and emergency managers on the needs of animals and their owners in disasters; as well as finding ways to improve the efficiency with which information related to disaster management of animals and their owners can be obtained and exchanged in disasters. Animaldisasters.com can help identify what your specific training needs are, then provide tailored training to fill in gaps in knowledge and skills. 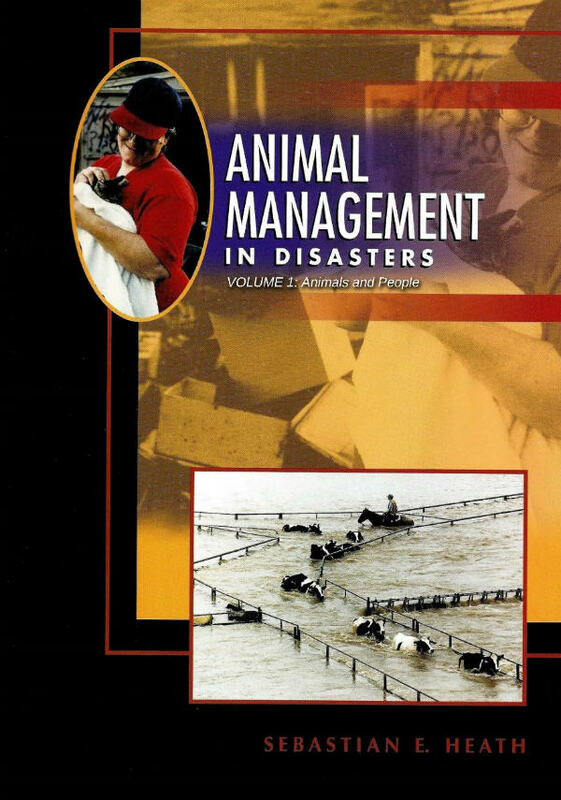 For owners and people interested in animals in disasters you can also request that trainers from animaldisaseters.com provide introductory level training to help you understand how emergency management works. For official responders we can also provide advanced training that can lead to becoming a credentialed Animal Emergency Responder and an active member of a local and State emergency management team. We are also always looking for contributors to our Hazards Library. If you are an expert, either by training or experience, on a particular type of hazard and would like to share your ideas on how to mitigate these, please sign up to share your knowledge. Animaldisasters.com provides a unique resource for mitigation of disasters affecting animals. Through our blog we provide a unique opportunity for innovators, vendors, service providers and animal lovers to share their ideas on how to mitigate the impact of disasters on animals. We also are working to establish a searchable library on mitigation references. Become a contributor to our animal mitigation blog by sharing your ideas, products and thoughts on how to mitigate the impact of disasters on animals. During the response to a disaster animaldisasters.com works with donors to find the best emergency personnel to monitor and prioritize the response efforts for animals in disasters. We can also driect sponsors to response teams that will help restore animal care capabilities. Animaldisasters.com can also suggest where direct funding to for to support health care for animals, including the cost of veterinary and other services provided to injured animals. At animaldisasters.com we can help you help communities recover from disasters. We can help with fund raising to help rebuild and improve a community’s animal health infrastructure, as well as engage communities to develop comprehensive emergency management strategies to mitigate future disasters, and improve every day quality of life for people and animals. We offer to work with donors to identify the specific program or need at the time of donation, because at animaldisasters.com we prefer to help donors identify and support their intended final goals and recipients. For large donations (over $100,000) sponsors may want additional oversight and accountability over donated funds. Under these circumstances animaldisasters.com works with the recipients to develop a spend plan and provide regular reporting to the donor on the intended and actual uses of donated funds. Large donations can help as grants and loan securities to animal care facilities for the short and long-term restoration of animal care infrastructure damaged by a disaster. How can you Help the Future of animaldisasters.com? Sustainability of animal care programs has always been a challenge. In the wake of large scale disasters there is always lots of enthusiasm, but between incidents interest can wane. To even out the fits and starts in interest and support for animals in disasters, animaldisasters.com has set a goal of raising $1 million to provide a sustained national effort to integrate the care of animals into emergency management. These funds will help us to further develop our website and social media platforms, provide small grants to communities integrating animal care into their Emergency Operations Plans, study the needs and behaviors of animals, owners and officials in disasters to increase the efficiency and effectiveness of response. At animaldisasters.com we strive for continual improvement. If you have ideas on how we can do better, perhaps as a sponsor, author, trainer, fund raiser, or however you think you might be able to help, let us know.